The Olympus VR-350 (which is almost identical to the VR-340 and VR-360) has some specifications that will grab your attention in its price point of a little over $100. With 16MP of resolution, a sharp 3.0-inch LCD, and a 10x optical zoom lens, the VR-350 provides a good value. However, this camera's performance level isn't very good, about like what you'd expect to find in a camera with such a low price tag. The VR-350 responds slowly to commands, has some softness in images, and its video capabilities are well below average. However, its nice zoom lens and easy-to-use configuration - coupled with the low price - make those problems easier to handle for a beginning photographer. Read more in our Full Conclusion. For 2012, Olympus has introduced three almost identical models in their V-Series line of compact, point-and-shoot digital still cameras; the VR-340, VR-350, and the VR-360. The VG-350 and VR-340 are pretty much the same cameras, with the VR-350 only adding 3D still image capture. Core features include a 16-megapixel CCD image sensor, 3.0" LCD screen, and a 10x optical zoom lens, which offers a 35mm-equivalent range of 24-240mm. Combined with AF Tracking mode, you'll be able to capture wide visits as well as distant action shots of moving targets. The camera's also capable of recording 720p HD video. 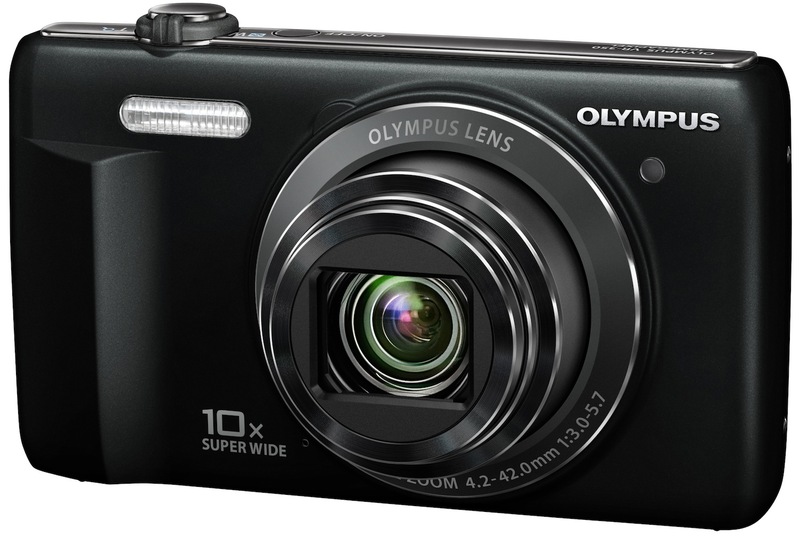 With an estimated street price of $129.99 USD, the Olympus VR-350 is quite affordable. You can choose from several colors, including Black, Red, Silver, Purple, and White (color options will depend on your location in the world). See our lowest price button at the top right to see the most current online pricing.